Android have released Android 9 Pie (Go edition). 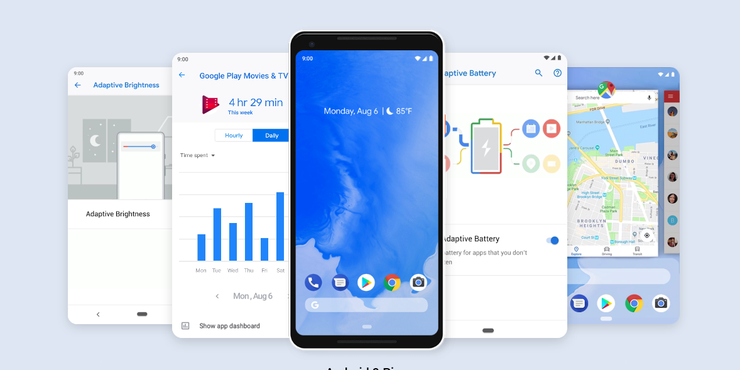 Android 9 Pie (Go edition) also features faster boot times, top-of-the-line security features like verified boot and an accessible dashboard for tracking and monitoring data consumption. Google has also redesigned a set of Google Apps, which are built to serve the needs of first-time smartphone owners. Google Go now offers the ability to read webpages aloud and highlights each word so users can follow along. YouTube Go allows users to watch videos while using less data with features like gallery mode for downloaded content. Maps Go now features navigation, making it possible for people with Go edition devices or unstable connections to use turn-by-turn directions. Files Go is now capable of transferring data without using mobile data at speeds of up to 490Mbps. Assistant Go now supports additional languages including Spanish, Brazilian Portuguese and Indonesian, and has expanded support for device actions like controlling Bluetooth, camera and flashlight. Android Messages for Android (Go edition) is now 50% smaller in size and the Phone App includes caller ID and spam detection. With a broader range of options and better performing phones, more people can come online for the first time and have access to essential, helpful information, according to Google.